What does Misbah ul Haq and KKT Orthopedic Spine Center Pakistan have in common? Why would Misbah ul Haq, cricket legend and Pakistan’s pride endorse the medical facility in its latest TVC? After retiring from One Day Internationals Misbah has been captaining Pakistan’s test side and though we know much about Misbah, his integral strength of character and his masterclass game, there is little we know about KKT. A quick Google search however came up with enough to make some sense of this pairing. Misbah ul Haq is unique in that he perfectly embodies the dignity of the gentleman’s game. Similarly KKT Orthopedic Spine Centre prides itself in being the innovator of a sound wave treatment to regenerate spinal tissue and realign the spine offering patients of orthopedic ailments a dignified treatment. 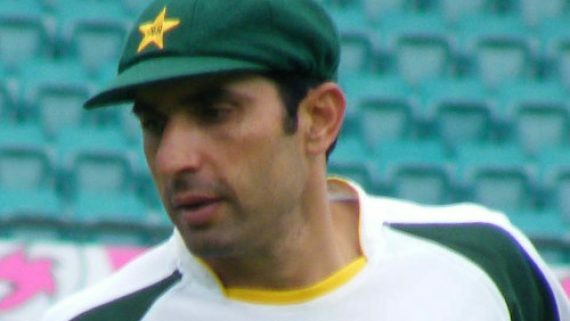 Misbah is well known for his cool head at the pitch, his slow and steady wins the race performance tactics often frustrating but usually rewarding. KKT does not rely on aggressive batting tactics by prescribing mind numbing medication or surgery either but employs a Misbah cool innings with crisp clean drives that might last longer than expected but are always effective. KKT is the brain child of a Canadian doctor Dr. Aslam Khan who did prodigious research in the area of neuro-musculoskeletal ailments and sound wave technology and merged the two to form a holistic approach to an area of medicine that has orthodoxly relied on archaic and invasive methods for treatments that don’t solve underlying conditions. Surgery and medication are pretty drastic treatments because they alter the way you perform in your day to day lives and for athletes it’s more of a challenge when they feel they have no control over their body. KKT makes sense for athletes who don’t want to spend months or even years recovering from injuries during performances and would rather go for a less invasive approach to treatment. As the fate of Pakistani cricket seems to be taking a turn for the better so does the level of awareness regarding health care. People now know of the discrepancies between the services that are offered on an international platform and how they are only available in Pakistan once they are obsolete and thus cheaper to acquire. However they are no longer satisfied with this form of treatment. Where we have produced exceptional athletes in all forms of sport we deserve a form of treatment that is not only current but relative. KKT’s revolutionary treatment methodology not only helps the cricketing field but every field. Our soldiers can get back on their feet quicker, be healthier, more fit to do their duty. Our youth can rest easy because our elders are in safe hands, as they will be when they get old. Our medical professionals and field can only grow from this advent, taking on further responsibility of providing world-class treatments that are innovative and internationally available; training our medical students so they don’t have to leave the country to gain this expertise. So it is safe to say that Misbah has, yet again, chosen a team worth playing for. KKT has already clocked in a solid four year innings with no signs of getting bowled out. Here’s hoping to see a long partnership!